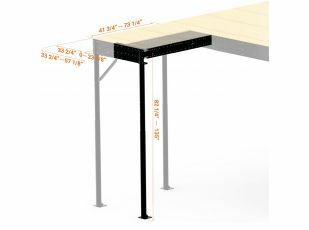 Beams to install the stairs inside the mezzanines L. It consists of 4 small telescopic secondary beams and 8 connectors that allows to adjust the space depending on the stairs model you want to place. 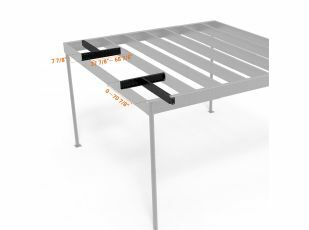 The kit includes all the screws required. 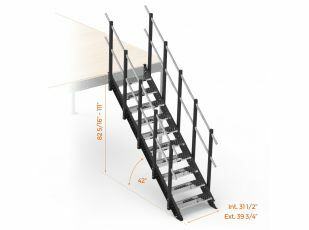 L step Kit includes a metal step and screws for its installation in L Stair. 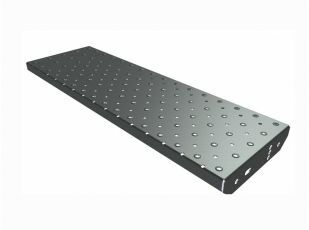 The Stair Landing Extension L allows to increase the surface in the direction of the primary beam, thus extending the length from 33 1/2 inch to 57 inch. 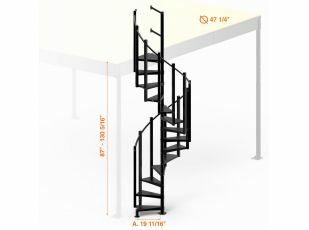 The width is still the same as the size range of the Stair Landing L.
The spiral Stairs for mezzanines of the L range, are strong and firm stairs made of steel that can be adjustable in height. They are stable and safe. 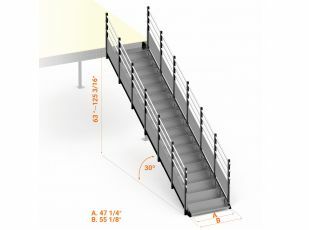 The railing that is placed in the superior landing is connected with the mezzanine one. 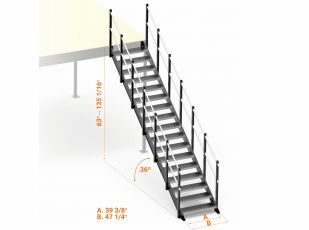 This Kit includes lateral railing and steel steps.